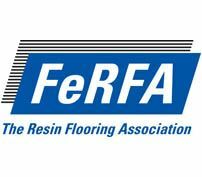 FeRFA is the UK association representing specialist contractors, major product manufacturers, surface preparation companies, specialist service providers and raw material suppliers servicing the resin flooring sector. FeRFA is unique as the only organisation that is solely dedicated to the resin flooring industry. For over 40 years we have been the leading authority on resin flooring systems, our aim is to promote the numerous befits of resin flooring for commercial and industrial applications and promote its high performance characteristics. All of our members comply with the FeRFA codes of practice ensuring that the highest standards of management, operation, health and safety and technical service are maintained. FeRFA members are also required to operate quality assurance schemes to ensure the highest standards of performance are met at all times. FeRFA actively promotes and endorses "Qualifying the Workforce", we do this by providing apprenticeship and NVQ schemes. FeRFA constantly encourage the development of advanced processes and products in the field of resin flooring systems, believing that innovation is the way forward and rewards achievement in this area. There are many benefits of using a FeRFA member or becoming a member of FeRFA if your organisation is in this sector, please visit our website for more detailed information.